Mezzabarba Amplifiers are covered under a warranty, which is provided by your country’s Authorized Mezzabarba Distributor/Dealer. 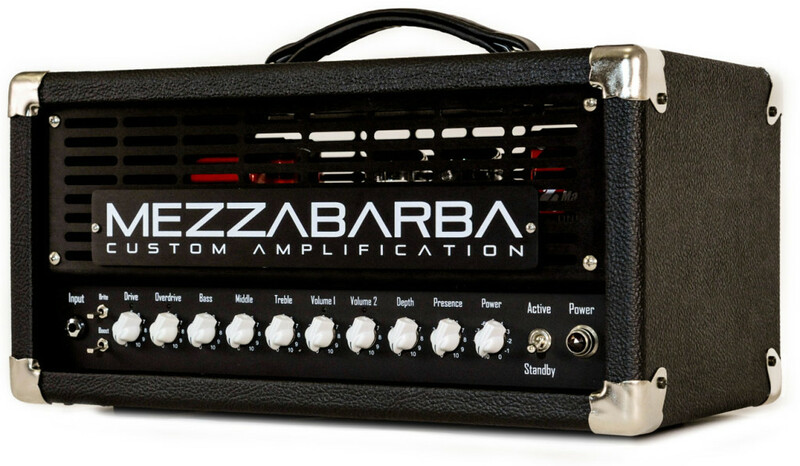 Limited Lifetime Warranty: New Mezzabarba Amplifiers are lifetime warranted to the original purchaser against failure of parts/materials and workmanship if purchased through an authorized dealer. No other warranty applies. Tubes, transformers and speakers are warranted for a period of ninety days. Pots, connectors and switches are warranted for a period of two years.This warranty applies only if the amplifier has not been damaged by accident, misuse or as a result of repair or modification. The use of non-authorized Mezzabarba tubes and replacement parts may void this warranty. Mezzabarba reserves the right to make any design changes without notice or obligation to incorporate these changes in products previously purchased. Masotti is not liable for any freight or duty charges. Return Authorization is required for all products returned to Mezzabarba Custom Amplification. In most cases we will be able to supply the technical information needed to repair the amplifier thus avoiding the shipping issues and costs. All shipping costs to/from Mezzabarba are the owners responsibility, after 90 days of purchase. Mezzabarba will be responsible for the factory-to-customer return shipping cost to the original owner for only the first 90 days of ownership. Authorized Returns should be shipped in the original Mezzabarba box and original packing materials. A return packing/handling charge may be applied to any product shipped to Mezzabarba in sub-standard or damaged shipping box and materials. This is to make sure your amplifier is packaged safely in a new box and to recover our costs for doing so. Since the courier doesn’t honor damage claims for non-original packaging, Mezzabarba is not responsible for any factory-to-customer return shipping damage to products shipped in non-original box and packing materials. A copy of the final Sales Receipt from an Authorized Mezzabarba Dealer is required with this Warranty Registration. As an International customer we want to ensure that you receive the high level of customer service that you expect from us. Therefore, if you do feel you need assistance please ensure that you follow the method below. This will offer the shortest and easiest route to getting help. Call the Authorized Mezzabarba Distributor in your country. They have the technical staff and experience to assist. It is very rare that they will be unable to help you. If you are still unable to get the assistance you require or you feel you have a problem that the Distributor cannot resolve, contact us directly.